Inspire students to become Deaflympians! In a Livestream presentation featuring information about participating in the Deaflympics! 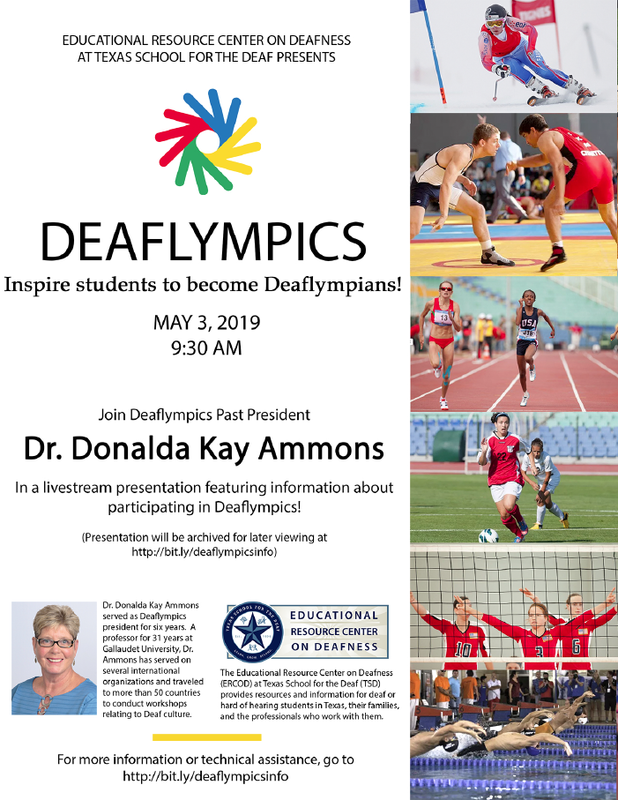 Dr. Donalda Kay Ammons served as Deaflympics president for six years. A professor for 31 years at Gallaudet University, Dr. Ammons has served on several international organizations and traveled to more than 50 countries to conduct workshops relating to Deaf Culture. The Educational Resource Center on Deafness (ERCOD) at Texas School for the Deaf (TSD) provides resources and information for deaf or hard of hearing students in Texas, their families, and the professionals who work with them.